The pre-release show at Avonova went off without a hitch and I couldn’t be more pleased. It was my first time playing a show with a full band and it was an amazing experience. I had such a blast presenting these songs with the little ensemble that I put together. It’s a completely different level to be able to present these songs live, all flushed out with drums, bass, violin, and harmony vocals. A girl could get used to this-it was my favorite show so far! 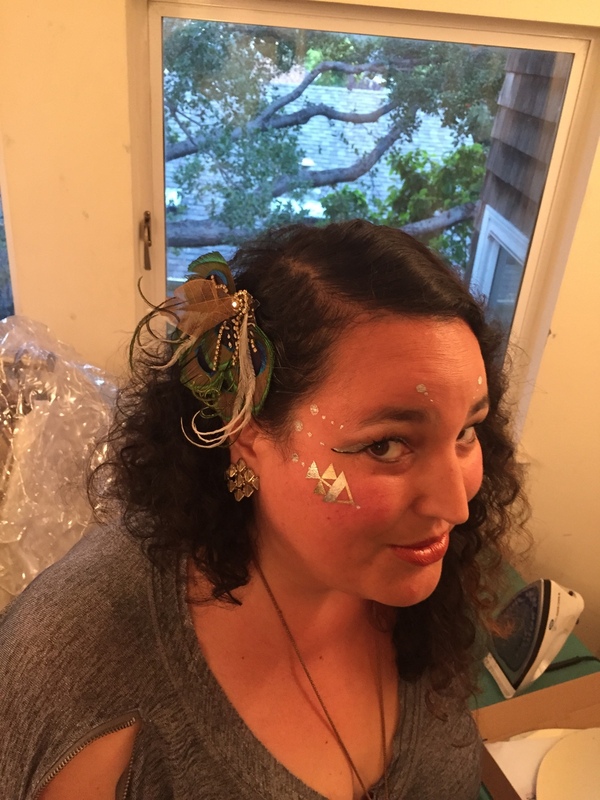 My creative and talented cousin Liz came down early from Sacramento to help me with make-up and my good friend Karmen, who works at a swanky San Francisco salon, did my hair. As soon as sound check was finished, they whisked me up to the green room and got to work making me look pretty. Sitting there while they worked their magic, I felt like a rock star. By the time they were done, I looked like one too. I was overwhelmed by all the beautiful people who came out, and I was honored by the depth of listening that they offered me. It was such a privilege and a delight to play for a house filled with such wonderful individuals. The love in the room was palpable and it gave me the space to share deeply and openly. Whenever that happens it’s the best! I found myself telling the stories behind the songs with ease, grace, and humor and I got feedback from lots of people that they had a great time. After the show I spent a long time talking with people and signing CD’s. I noticed that I’ve come a long way in that department. When I first started sharing my original songs, I often felt awkward talking with people afterward. I think because my songs are so open and vulnerable and I was feeling exposed and uncomfortable. But the other night I was completely comfortable talking with friends new and old, and I am thankful for that. I am thankful for a lot of things. Especially my good friends who helped everything run smoothly. There’s a lot of work that goes into throwing yourself a CD release/birthday party, and without their help it never would’ve been possible. You know who you are. I am thankful that several members of my family were able to attend the show, it was so special to be able to share this momentous occasion with them. I am thankful for all the beautiful people who came and spent their Sunday night with me and for the immense love they gave me. I am thankful that I was able to sing well because I had recovered from a throat-centered cold just in the nick of time to perform. I wish that I could just bask in the glow of this happiness forever, but now it is Tuesday, and there are things to do, and life marches on. I often experience a bout of sadness after the completion of a major goal-even if it’s a huge success. I am going to attempt to hold on to the elation that I felt Sunday night, even as I wade through some darkness. Wish me luck.